If you've been following my blog for awhile then you know my fave color is green. I talk about it quite a bit and I'm always excited to style an outfit around the color. I'm also a big fan of the leaf print trend (you may have seen my palm print trend report that I did last year). The print just screams spring and summer and allows you to have the resort look even if you aren't going on an tropical vacays. Of course, since I live by the beach I always feel like I'm on a vacation. I styled this leaf print CAbi dress with a pair of my fave shoes -- these Dolce Vita mules. I love that the mule trend is still going strong. These shoes are so comfortable and easy to walk in. 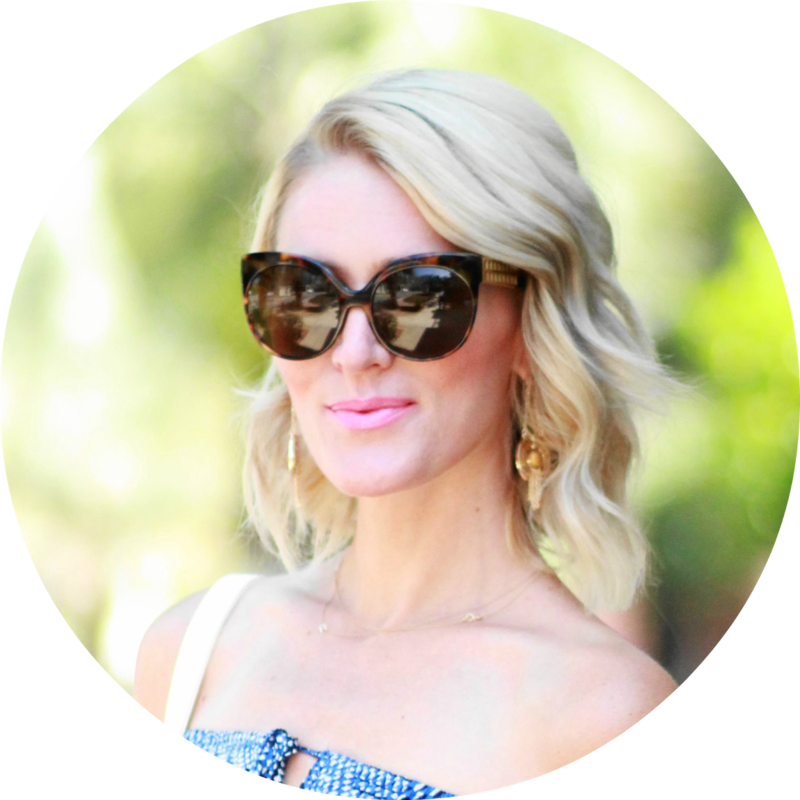 I finished my look with these Ray-Ban green mirrored aviators -- too perfect, right? Love love love this dress! The print is amazing! Normally I'm not into mules, but those are to die for! Super cute! I love love love palm/leaf prints. It makes me want summer!